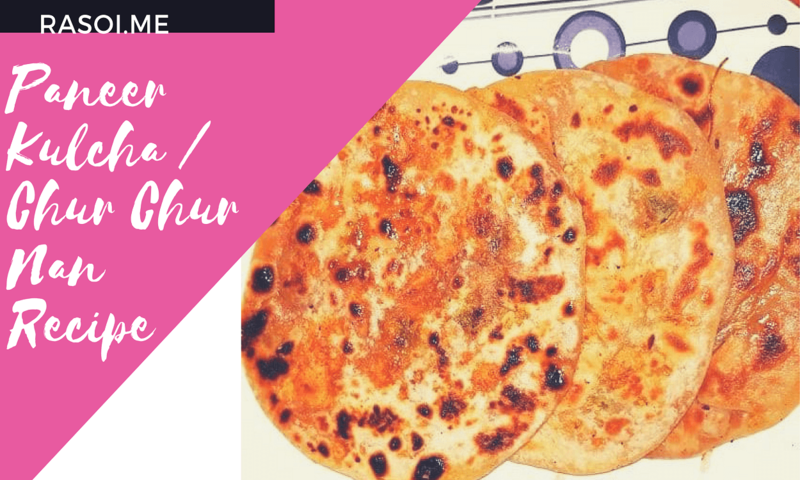 Kulcha stuffed with spiced grated paneer can be prepared at home by following the similar method as making stuffed Chur chur Naan Recipe. Making paneer kulcha at home is a three-stage process. It’s very easy to make at home watch this video recipe and subscribe our channel and share with your friends and family. After 15 minutes take the dough and greece ghee or butter whatever you like. leave it for 15 minutes.Press the dough and turn it over several times with your right hand(do not knead a very hard and thin dough). You can also apply some oil on your hand then knead the dough to make it smooth. Take dough and roll it into a ball with your hands.The dough is ready to prepare Chapati fill1 spoon filling and roll it again slowly. Place Tawa on the gas rolled Chapati on heated Tawa. When its lower layer is slightly cooked and the upper layer becomes a bit dark in colour, change sides. Cook the other side till brown spots appear. Kulcha is Ready to Eat. No Replies to "Kulcha Recipe | Paneer Kulcha | Chur chur Naan Recipe"